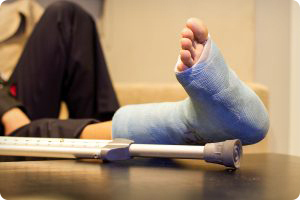 If you are in pain due to a foot injury and are ready for relief, you are in the right place. Our podiatrists strive to offer you the best podiatry care possible so that you can make sure you’re at the top of your game. Some of the most common foot and ankle issues that we treat are related to injuries including stress fractures, running injuries, ankle sprains, heel pain and tendon issues. If you have a foot injury that has been bothering you, give us a call at 816.525.4778 today so we can help get you back to being your best. If you are in pain, you shouldn’t have to wait. We offer same day appointments for our patients’ convenience.